Hi! I’m Kathleen, Kat, or Chefleen! I am a sunshine filled soul from Southern California, but now call New York City my home. I am a graduate of both UC Berkeley (Go bears!) and Le Cordon Bleu and I live out loud. My free spirit, passion, and honesty guide me through the world. My love of everything food, people, and entertaining landed me in the kitchen. As a society we are moving away from nourishing our own bodies and I want to bring you back! Cooking for yourself and loved ones subconsciously makes you happy. Physical food is essential to human life, obviously, but we can not discount the value in the entire social and cultural experience of eating.We cannot lose the art, we must carry on. Alilmixedup is a collection of thoughts, ideas, and personal tales that some how all relate back to food. As beautiful as the world is it can be a nasty place. Sharing culinary experiences with others surpasses the ugliness. Thinking of my sometimes chaotic household, we always found peace at the dinner table. As my grandfather once said, “We all gotta eat.” Food fills our bodies and our souls and connects us together on a deeper level. In my spare time I love to explore everything and anything new, work out, and of course eat! As much as I love food some foods don’t love me. I attempt to eat gluten free but sometimes dollar slices call my name. I’m all about being healthy but life is too short to deprive myself of tasty treats. I am down-to-earth, sociable, and curious person who believes in squeezing the nectar out of life. Kathleen O’Brien Price was born in Moreno Valley, California. She was probably the only kid who scoured over Martha Stewart and Sunset magazines and preferred Food Network over cartoons. Following graduation from Le Cordon Bleu, she worked in the house of Will and Jada Smith, where she was affectionately nicknamed ‘Chefleen.’ After flourishing as a private chef, she started her own catering company, The Blkhrt Affair, based in Culver City, California. She came into her own style of cooking as she consulted on the creation of several new menus, including an all-organic alehouse in Venice Beach. After conquering the west coast she moved to New York, where she has continued as a private chef, splitting time between clients in the city and the Hamptons. 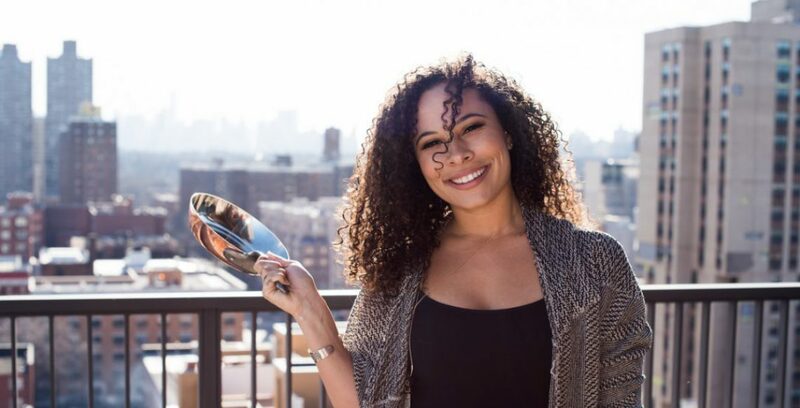 Her upcoming youtube series Chef in the City will focus on survival cooking and aims to bring millennials back into the kitchen. Her California spirit drives her healthy and colorful cuisine. Although it is her New York street smarts that has taught her how to make something from nothing. So good to hear from you, Kathleen, and to find out where you’re “landed”. I hope you’re enjoying NYC, one of my fav places. I send you many blessings for continued successes.